Happy Release Day to Jessica Sorensen and her new book ULTRAVIOLET. 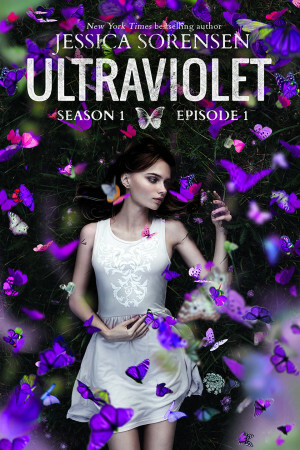 Ultraviolet is a novella series that is labeled as Young Adult Horror/supernatural/mystery/romance. Enjoy a sneak peek below and make sure to enter the giveaway! Hidden in the Red Hill Mountains is the quiet town of Hollows Grove. In that town, there is a field where a secret is buried deep beneath the ground. And in that field is where Mila was found abandoned with no memory of her past and haunted by visions of the future. Nine years later, Mila’s life is almost as normal as any other eighteen-year-old. That is until she starts foreseeing the murder of Nyjah Bradley, a guy she’s never met before, but whose face is branded into her mind. Constantly plagued by the vision, Mila decides to track Nyjah down and warn him of his impending death. But when the search leads her back to Hollows Grove, she learns there’s more to the sleepy town than meets the eye. Goosebumps dot my arms as I become highly aware that there’s not a single drop of noise within earshot. Not even our shoes hitting the dirt make a sound. I want to ask Novela if she notices it, but I don’t want to risk upsetting her more than she is. I try to keep it to myself but then I hear the soft pitter-patter of light footsteps rushing up behind us. Do you hear us? Do you hear us? We’ve been waiting for you, Mila. “Oh my God, we’re going to die,” she pants as she struggles desperately to keep up with me. “We’re not going to die.” I gasp for air as I push my legs harder than I ever have before. I don’t know what’s behind us. If it’s following us. What it wants. But as we near the edge of town, I dare look back over my shoulder and instantly wish I wouldn’t have. Because standing in the darkness of the road, watching us from a distance, is a lofty figure.